Creative Media & ICT: Scratch IT! This month, we've been running fun programming workshops using free Scratch software. 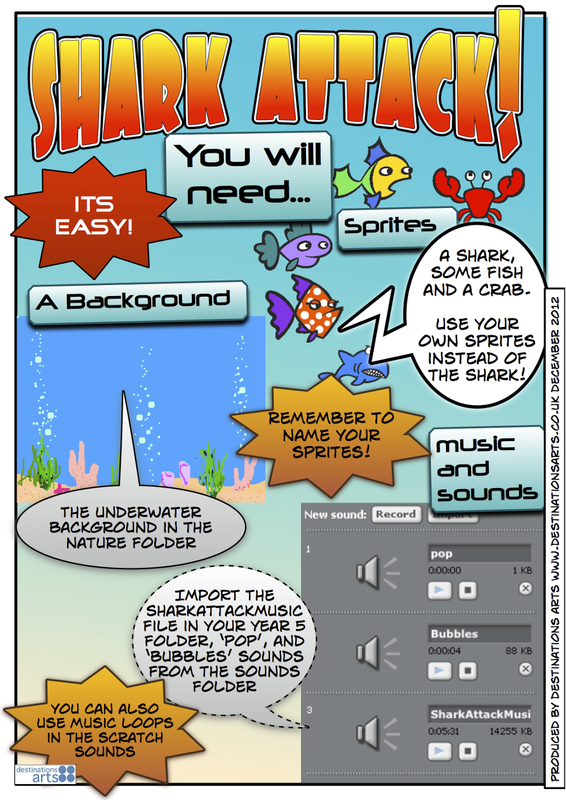 Local Y5 primary school students made their own 'sprites' - these are graphics that you animate in Scratch - to create interactive poems based on the work of Archie Markham. "This is Fantastic!" said Alma, and Naseem says, "I've got this at home and I'm making games with my Dad." 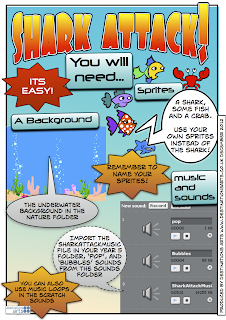 Students created a fantastic game called 'Shark Attack! ', using sprites from Scratch and their own sprite creations. A lesson plan plus code will be online soon!